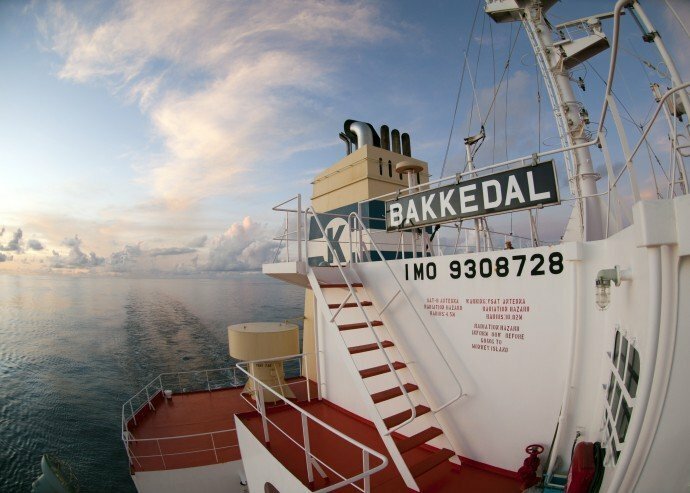 Norwegian owner Klaveness has sold kamsarmax vessel Bavang to “Asian interests”, it announced today. The vessel was the last of a series of eight 82,000 dwt kamsarmax vessels Klaveness ordered at China’s Jiangsu New Yangzi Shipbuilding in 2013. Six of the vessel contracts were offloaded for a profit in September 2014, two to Euroseas and four to Tufton Oceanic. Another vessel was cancelled in December 2015, as part of a deal where Klaveness ordered three 83,500 dwt combination carriers. “The vessel was a non-core investment and in order to support the growth in our specialized segments, we decided to sell the vessel,” commented Lasse Kristoffersen, CEO of Klaveness.